How to change a file to PDF is one of the most frequently asked questions regarding PDFs in general. Be assured we can give you a short and consistent answer to erase any issues you may have with this make-over. Of course, there are many programs that convert files to PDFs. But some of them are not that easy to use or might lose random info in the process. Others tend to be insecure or expensive. At this point, there is no need for app experiments as Readdle has already created the whole infrastructure to work with files, images, docs, etc. on iOS. 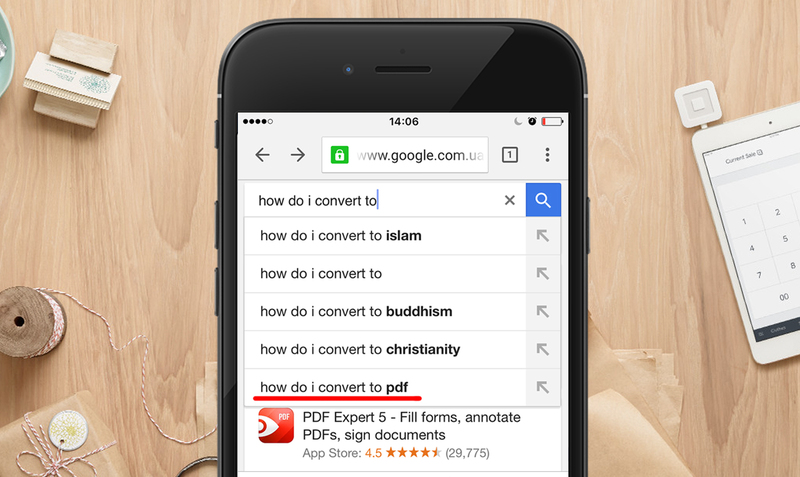 The only thing you need for converting is installation of BOTH the PDF Expert and PDF Converter. PDF Converter creates PDFs from almost any file type, including email attachments, web pages, iWork and MS Office files, photos, documents on Dropbox and Google Drive, and many, many more. Converting has never been so easy with just 3 simple steps. The file will have been automatically converted and tossed back to PDF Expert where you can edit it, add info and images, and annotate or fill it out. The results are accurate and identical to the original document since PDF Converter has full control of the conversion process. Also, it is 100% secured by is doing it locally without an online connection. 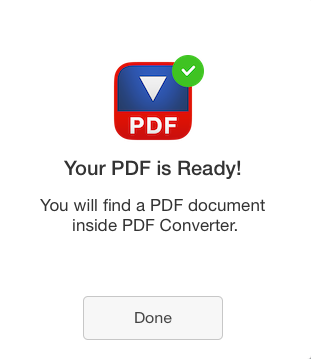 We’d love to have you check it out for yourself by downloading PDF Expert and PDF Converter on your iPad or iPhone.